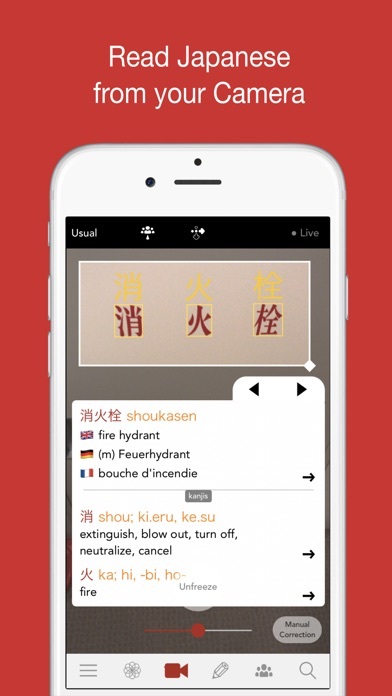 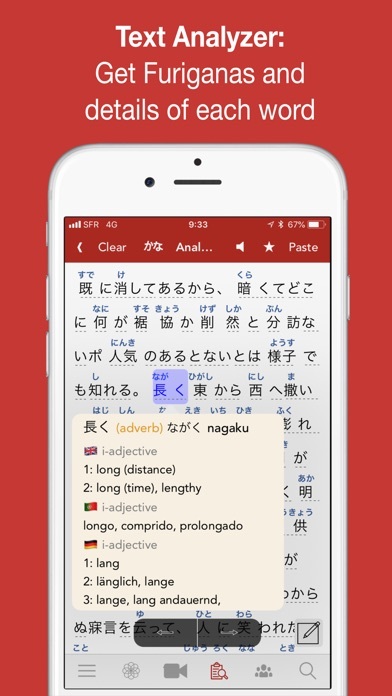 Yomiwa is a modern offline Japanese dictionary, including numerous features to help you read and learn Japanese. 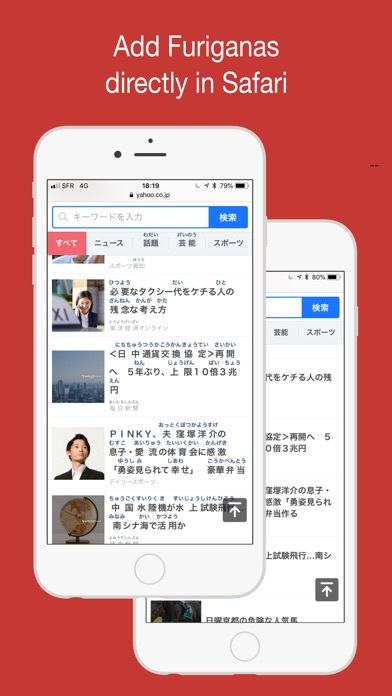 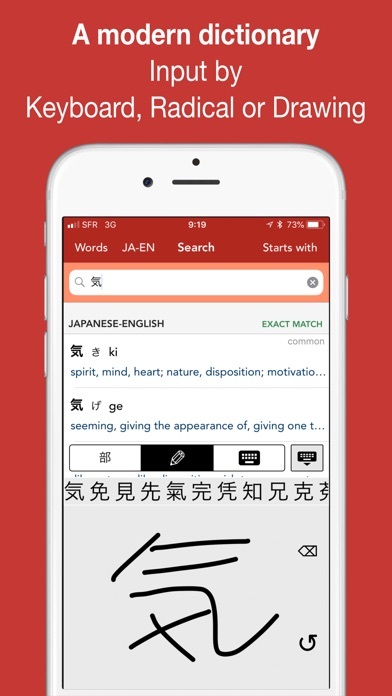 Yomiwa's dictionary has been built up from diverse sources in order to provide you with the most complete Japanese dictionary app on the App Store. 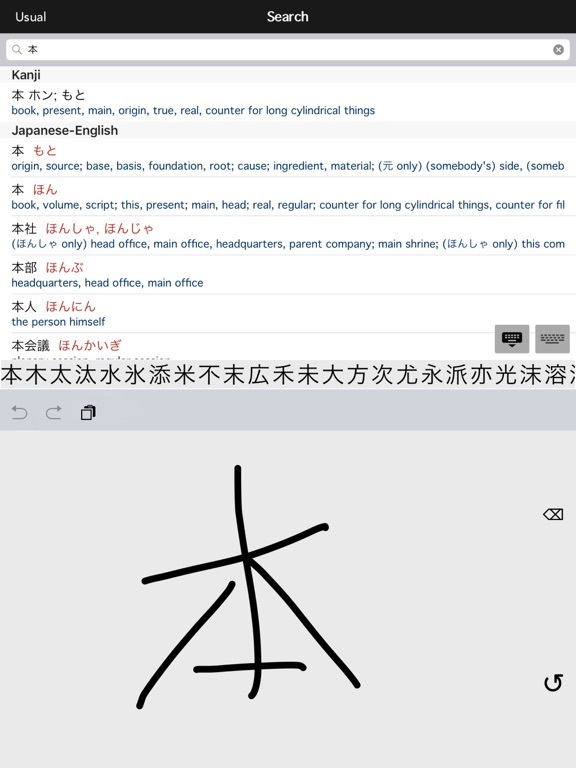 The powerful search function lets you input words in any kind of alphabet (Kanjis, Hiraganas, Katakanas, Romajis) and in any language. 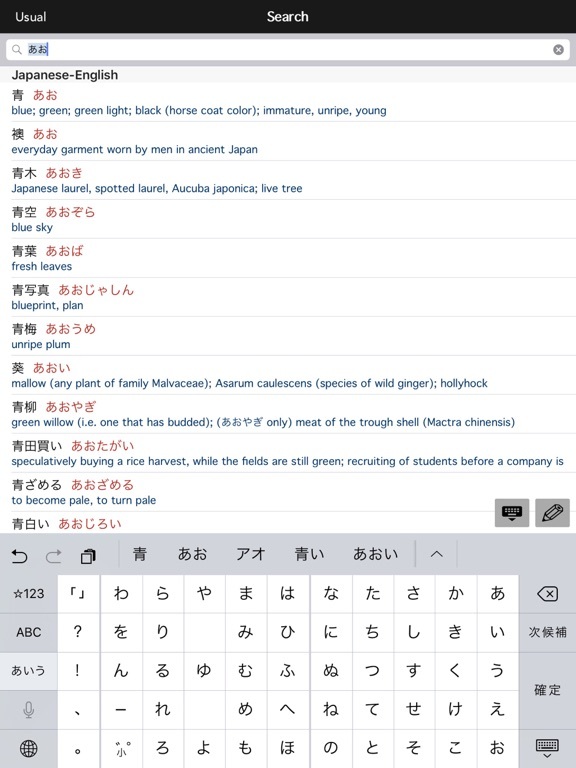 You can even input whole sentences. 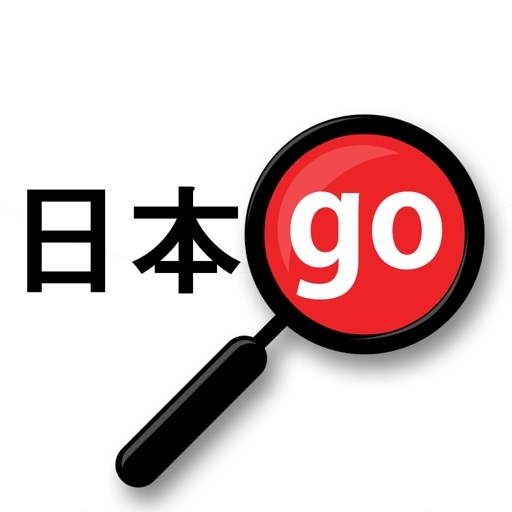 Yomiwa also features powerful, fast and offline Optical Character Recognition (OCR) technology. 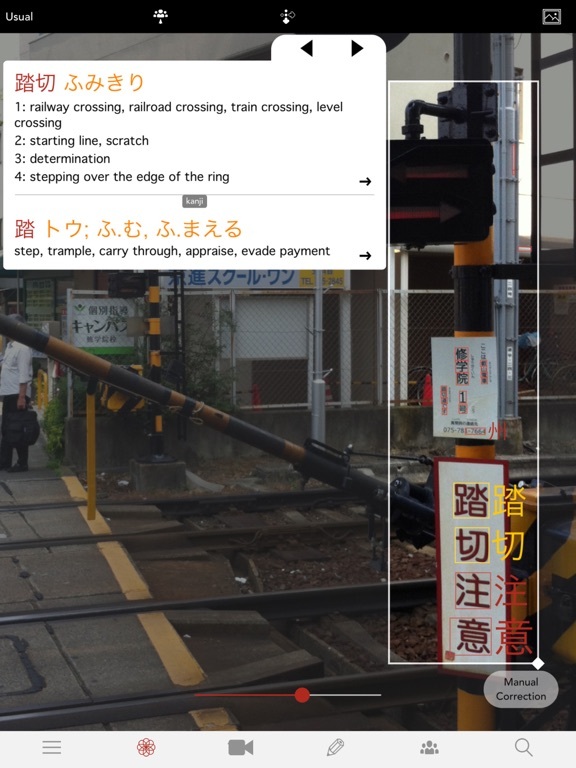 Yomiwa can recognize more than 4000 Japanese characters in your pictures or with your device camera. 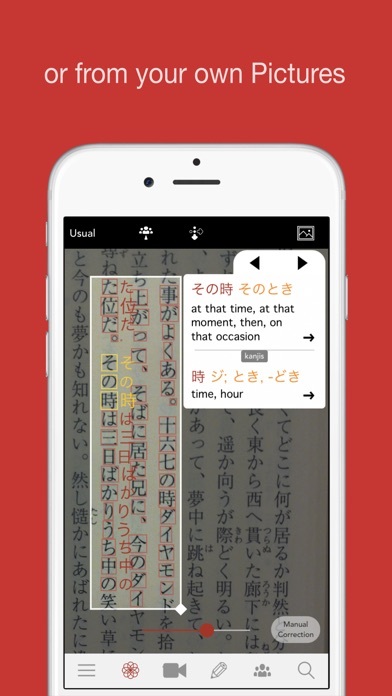 Japanese text is detected, recognized and parsed into words in a fraction of a second. 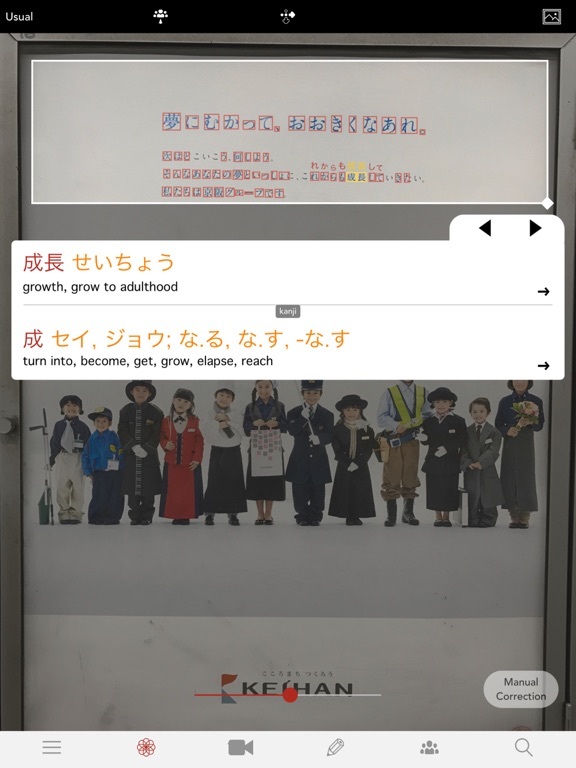 Yomiwa's OCR modes have been designed to help you read with ease all your favorite reading materials, such as mangas, newspapers, books or restaurant menus and signs. 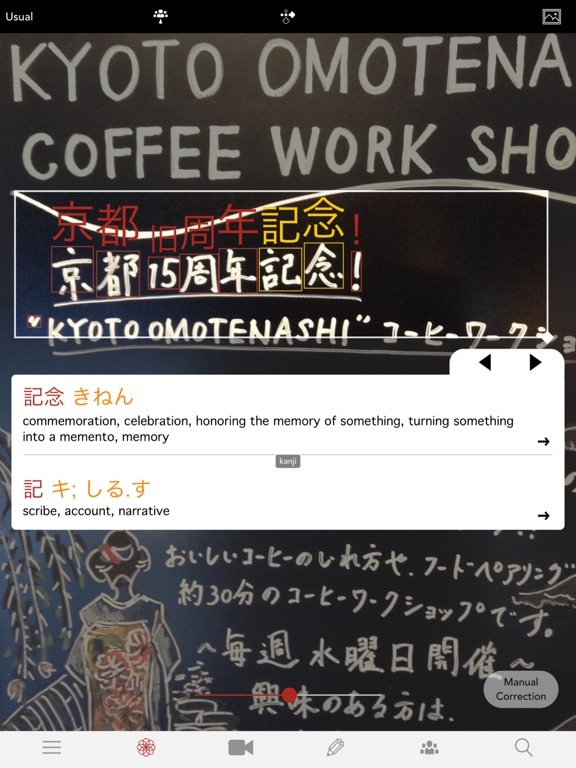 Yomiwa also comes with a built-in Handwriting Recognition engine which recognizes Japanese characters from your touch-screen.